1. Soak the Navitas Organics Cashews in water overnight. 2. Drain the cashews and then add them with all of the other ingredients to a blender. Blend on high speed until smooth. 3. Refrigerate for a few hours and then serve. 4. 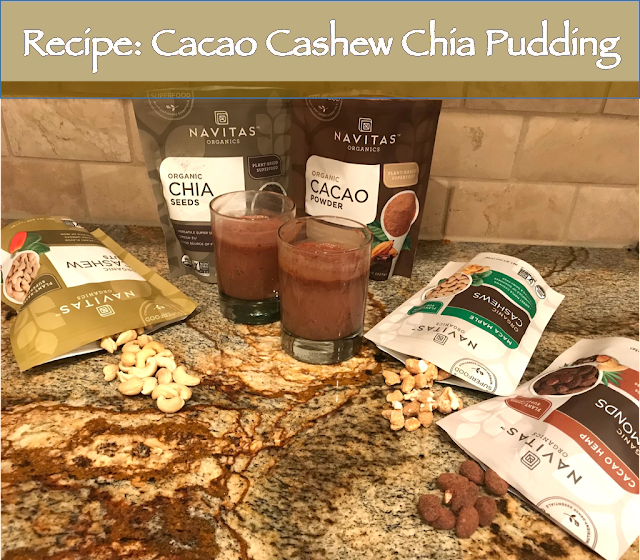 Optional: Sprinkle with Navitas Organics Cashews, Navitas Organics Maca Maple Cashews, and/or Navitas Cacao Help Almonds. Notes from the Chef: We love this vegan recipe for Cacao Cashew Chia Pudding because it is thick, creamy, and satisfies our chocolate cravings while providing a good source of fiber and protein. 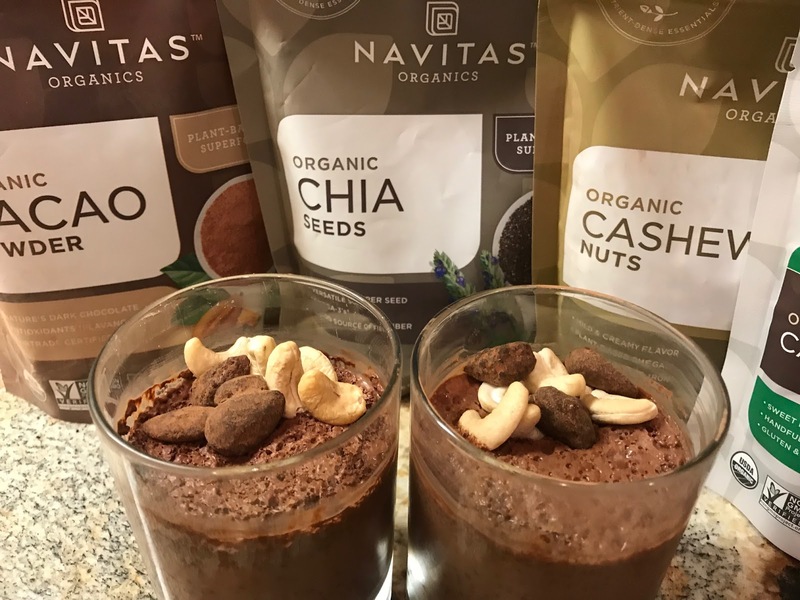 You'll also notice that we featured Navitas Organics products. This is because good quality ingredients make a big difference in this recipe. 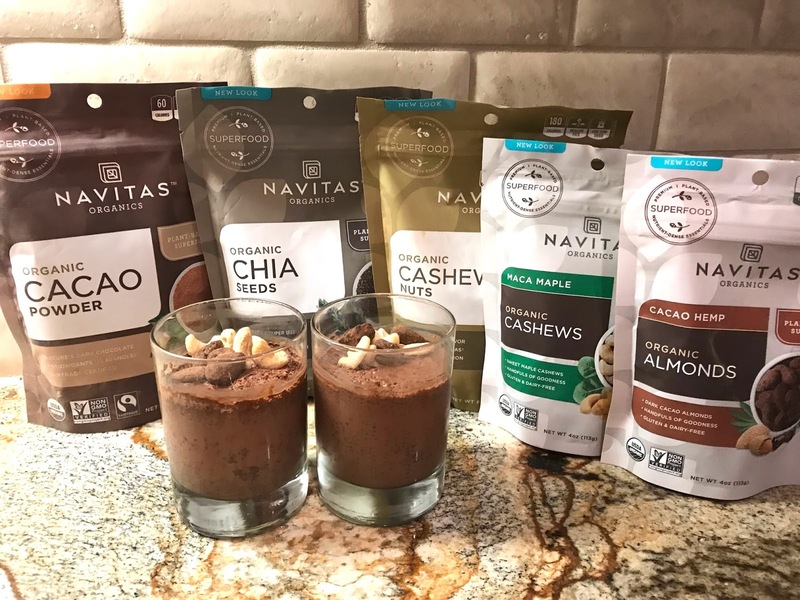 Thanks to Navitas Organics for sending us sample products!